As part of our ethos of providing delicious, ethical and sustainable products, a lot of work has been done in finding the best suppliers we can. We would like to share this work with you in the effort to promote greater transparency in the food industry. In an age where consumers are becoming more and more concerned for the welfare of animals, sustainability of the seas, and how their vegetables get from field to to plate… we are too! What we look for when choosing suppliers: fair trade, sustainable (all our fish is MSC certified), high welfare standards of animals, a local and short supply chain and high employment standards. In a nutshell, we are opposed to the exploitation of humans, animals and the environment in order to fill our bellies! La Latteria are a London based producer of Italian cheese. Their mozzarella is ridiculously fresh and perfect for our pizzas! They source their milk from small sustainable local farms in Kent. 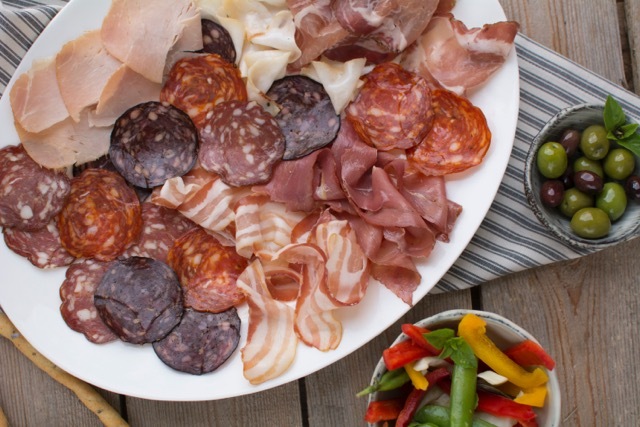 Trealy Farm are an artisan Charcuterie producer based in Monmouthshire. Not only is their meat amazing, but they are committed to using animals reared as locally as possible and to the highest welfare standards. We get our organic '00' style flour from the guys at Shipton Mills. They implement farming practices informed by agro-ecological principles to maintain and improve the soil fertility, so that our descendants will inherit a fertile earth.